DALLAS, March 12, 2018 /PRNewswire/ — Happy, happy birthday from the Chili’s crew, we wish it was our birthday… wait, it is our birthday and we want to party with you! 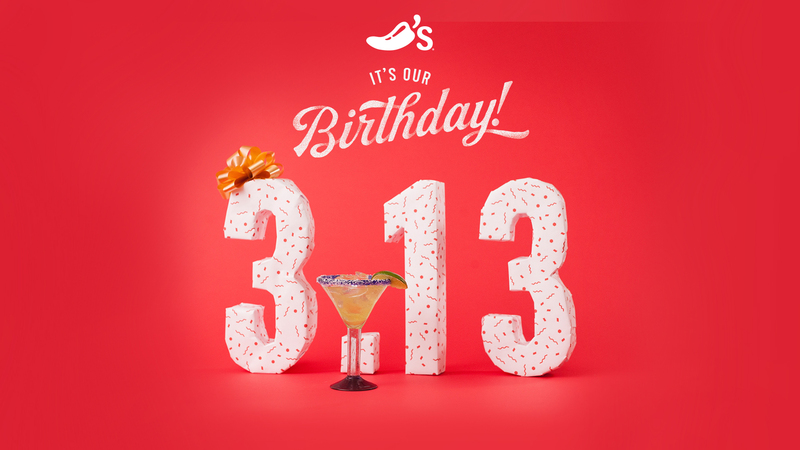 On March 13 (3/13), we, Chili’s® Grill & Bar, are celebrating our birthday externally for the first time and want our Guests to join in on the fun with Presidente Margaritas™ for only $3.13 all day long at participating locations. See what we did there? Gave you a reason to remember 3/13 with $3.13 Presidente Margaritas J. We know that our Guests deserve the very best. 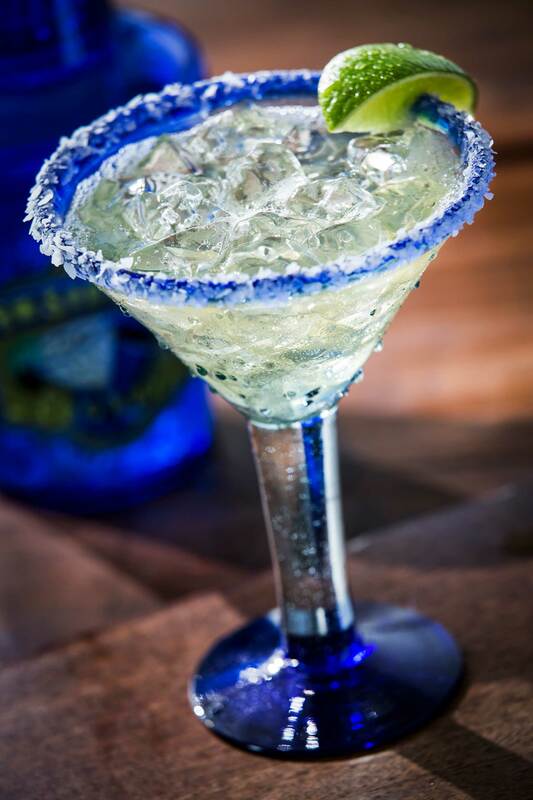 So, to commemorate the big day, it only made sense to offer our best-selling drink that is shaken precisely 25 times on the way to the table and has been perfected to what many call "the best margarita." March 13 has always been a special day for ChiliHeads across the nation to rejoice in another year of burgers, ribs, fajitas and margaritas, but this day hasn’t meant much to those outside of the brand. 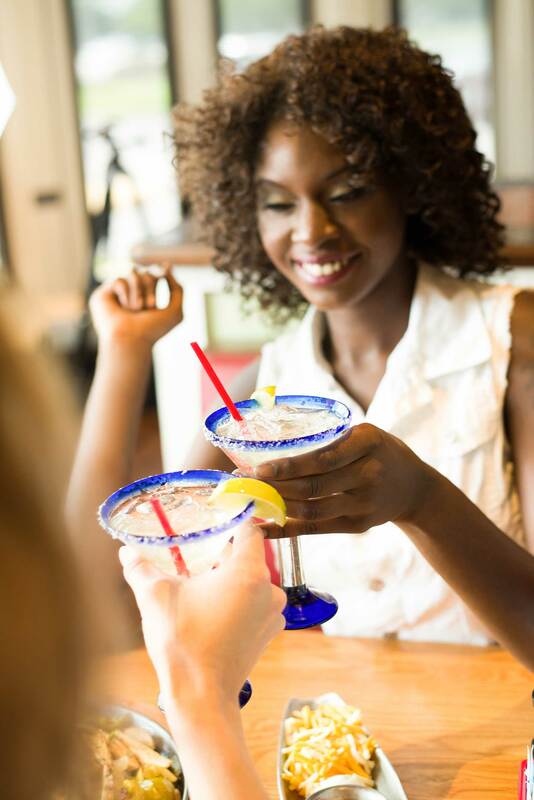 This year marks the first time we’re celebrating our birthday with our beloved Guests and everyone is invited to their local Chili’s to raise a glass (preferably a Presidente Margarita glass) to another year of Chili’s. Guests should mark their calendars for years to come because we plan to make March 13 an annual celebration for #ChilisBirthday. Follow us on Facebook, Twitter and Instagram to join in on the birthday fun. And, visit www.chilis.com to find a participating Chili’s near you to visit on March 13. We hope to see you there! Chili’s® Grill & Bar is the flagship brand of Dallas-based Brinker International, Inc. (NYSE: EAT), a recognized leader in casual dining. Known for their signature menu items – burgers, fajitas, ribs and margaritas – Chili’s offers fresh, bold and unexpected flavors. Each ChiliHead at more than 1,600 locations in 33 countries and two territories takes great pride in Chili’s purpose of connecting with and serving Guests and giving back to the communities in which they are located. In addition to Chili’s, Brinker owns and operates Maggiano’s Little Italy®. For more brand-related information, visit chilis.com.